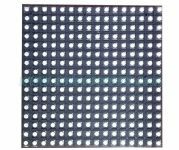 C-Air25 LED Strip Curtain Display is an all-weather outdoor products, the outdoor protection ability is over IP66.The box is made up by aluminum alloy and have independent heat dissipation function. Using high quality raw materials, product quality is stable and reliable. 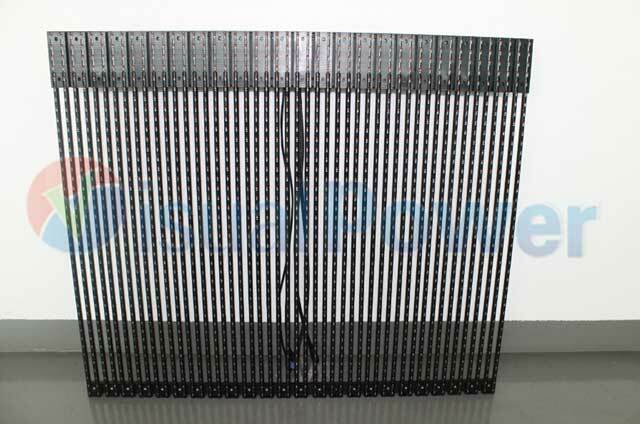 C-Air25 LED Strip Curtain Display could be applied to large outdoor LED display wall, LED strip curtain display, grid screen etc. 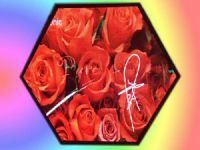 display system. 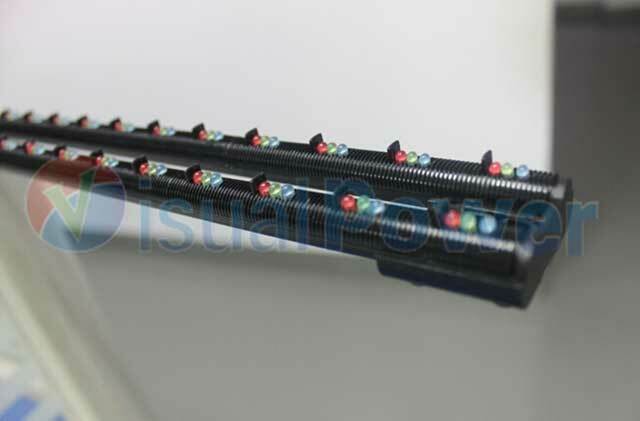 The main body is made by aviation grade aluminum alloy material. The surface have high strength, high anticorrosion function after having anodic oxidation process. 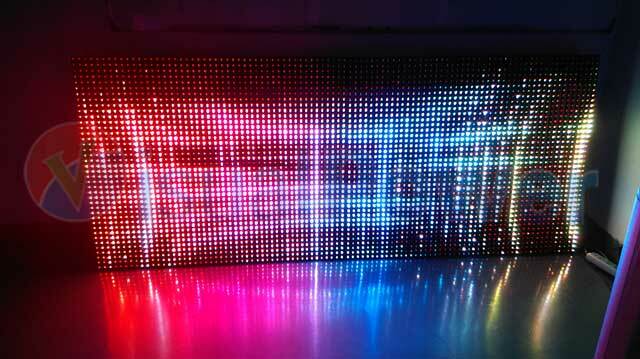 Designed with circular aluminum alloy strip, compared to rectangular strip, it’s lighting performance is superior. The ability to resist the wind is also better, since the wind resistance is smaller. 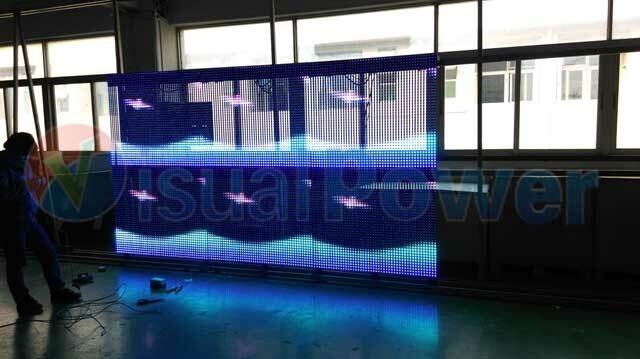 In addition, it’s weight is small, so we could build very large screen by using small amount of installation components. The brightness is over 6000NIT, could automatically adjust the brightness by the system and have ideal video effects during day and night. Energy Saving：1、use double voltage power supply,red light is 2.8V,blue/green light is 3.8V,static constant current drive,Each output 8～10mA. 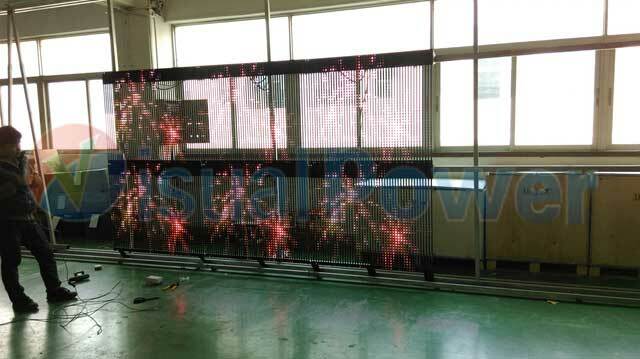 Cost Saving： 1、The weight of the screen is light,the wind resistance is small. 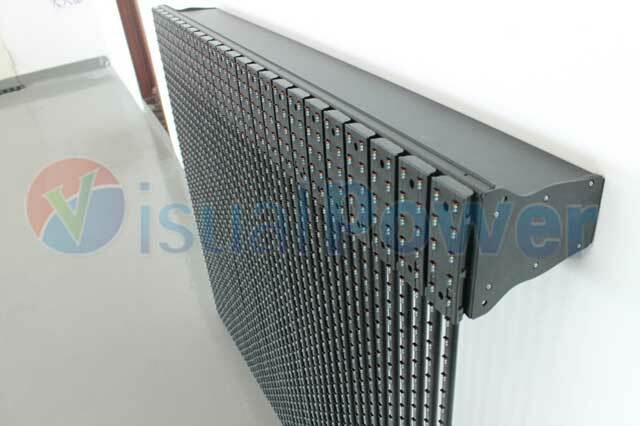 Simple steel structures can form a large screen,can save a lot of cost of steel structure.2.The current power consumption is 180w/㎡,compared to 350w/㎡, you could save 0.17kw/h. 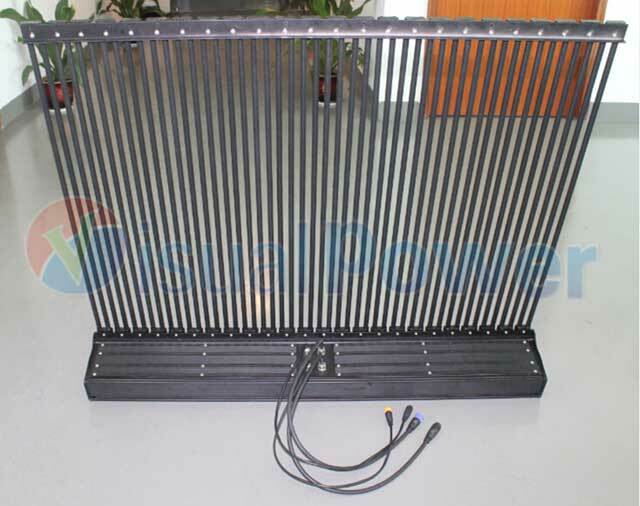 Heat Dissipation: Around can ventilation by using aluminum alloy material, so it can cooling itself well. 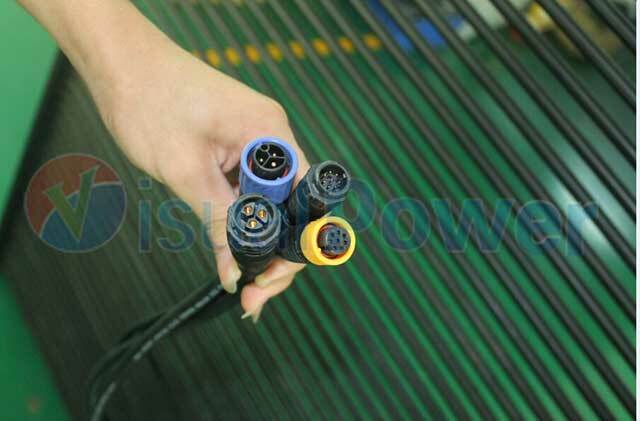 Power supply and controller put in aluminum alloy control box, don’t need a specialized heat dissipation system. 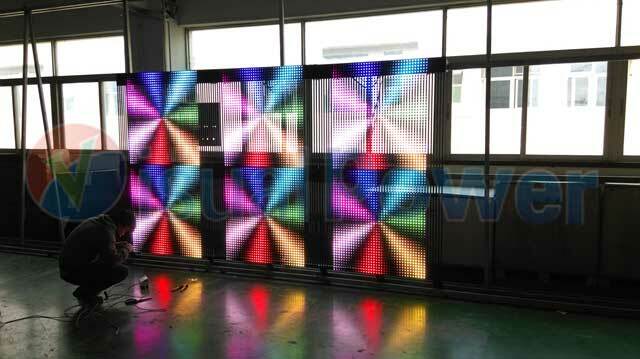 Weight: The weight of the screen is light and have small wind resistance. 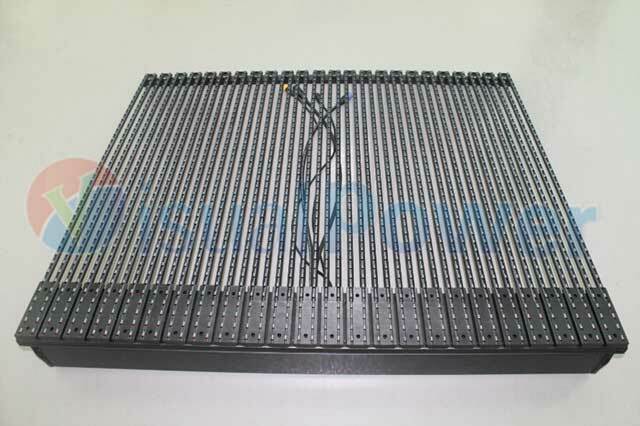 This design could reduce the strength and the weight, particularly suited to build large scale LED display. Maintenance: We could offer the maintenance according to your requirement. If you choose to maintenance in the front, we don’t need to build a new channel.